An introductory adventure for Deathwatch. 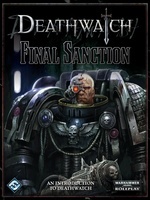 Sequel to Final Sanction. 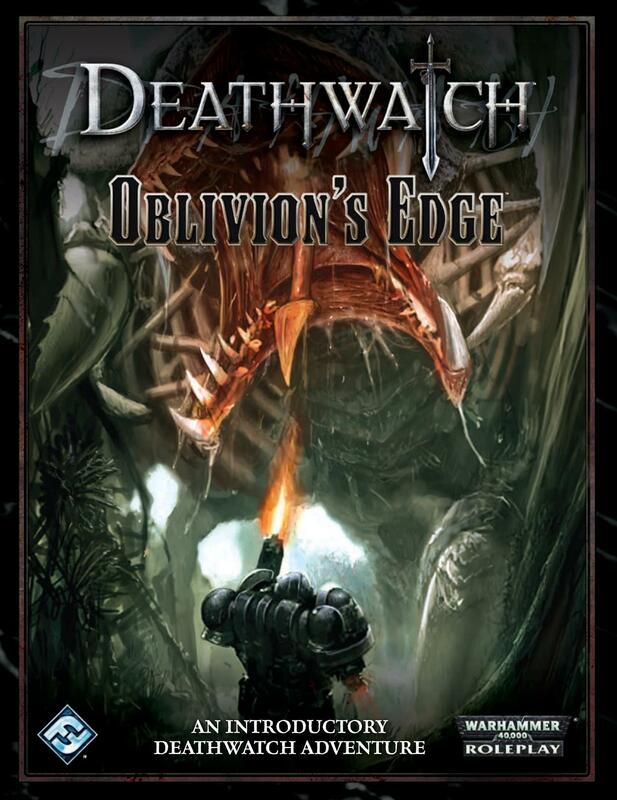 Oblivion's Edge follows the Battle-Brothersâ escape from Lordsholm during the horror of the Tyranid invasion of Avalos and their efforts to strike back against the alien terror intent on stripping the world of all life. This adventure is a direct follow-on from Final Sanction , picking up the action just a few days after its conclusion. While it is recommended that players play through Final Sanction first, it is not absolutely necessary; if the GM wants, he can run this adventure as a stand-alone scenario. Oblivion's Edge has also been designed so that all the rules and background information needed to run it can be found in Final Sanction , along with a selection of pre-generated characters.